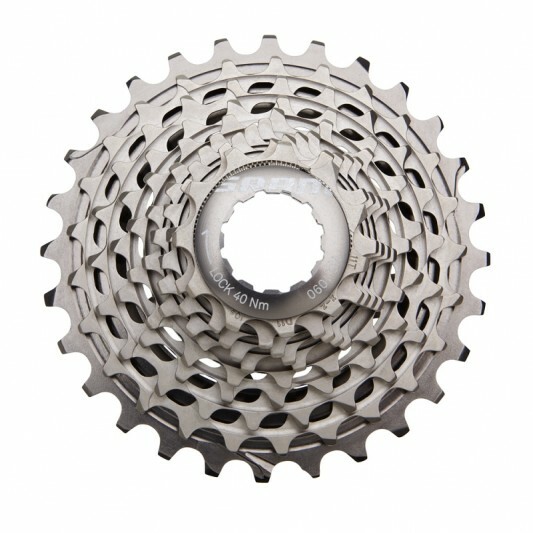 The new SRAM RED Powerdome X is the most advanced cassette ever made. Its super light, deadly silent, and delivers an undeniable performance advantage. 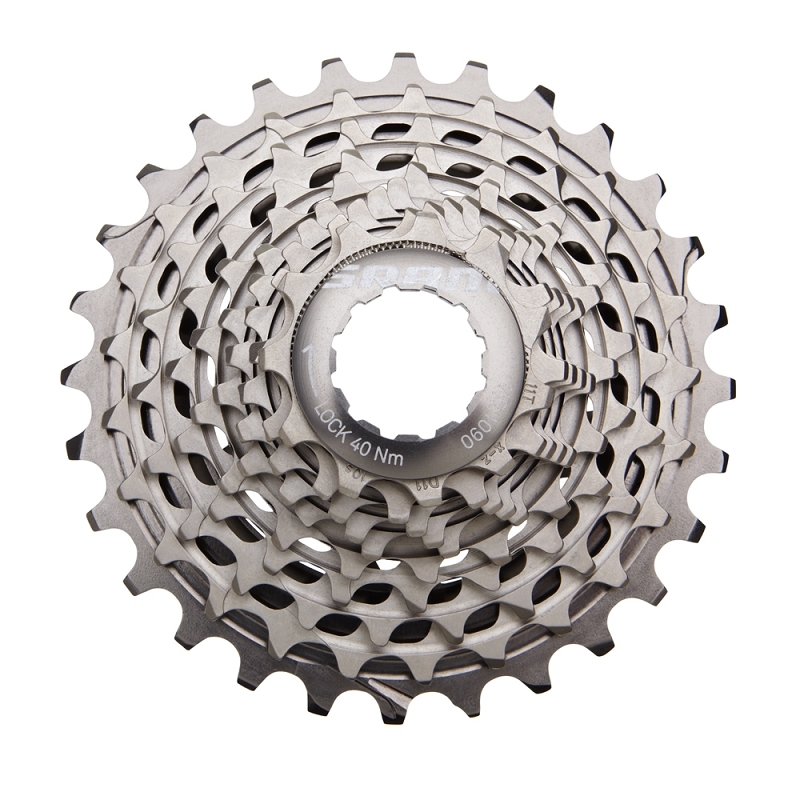 The eight cogs in the middle are machined from a single block of high grade tool steel, increasing stiffness while weighing even less than a titanium cassette. Between each cog in the block is a StealthRing elastomer to reduce vibration and noise. Cutouts on the rear cog further reduce weight and add stiffness. 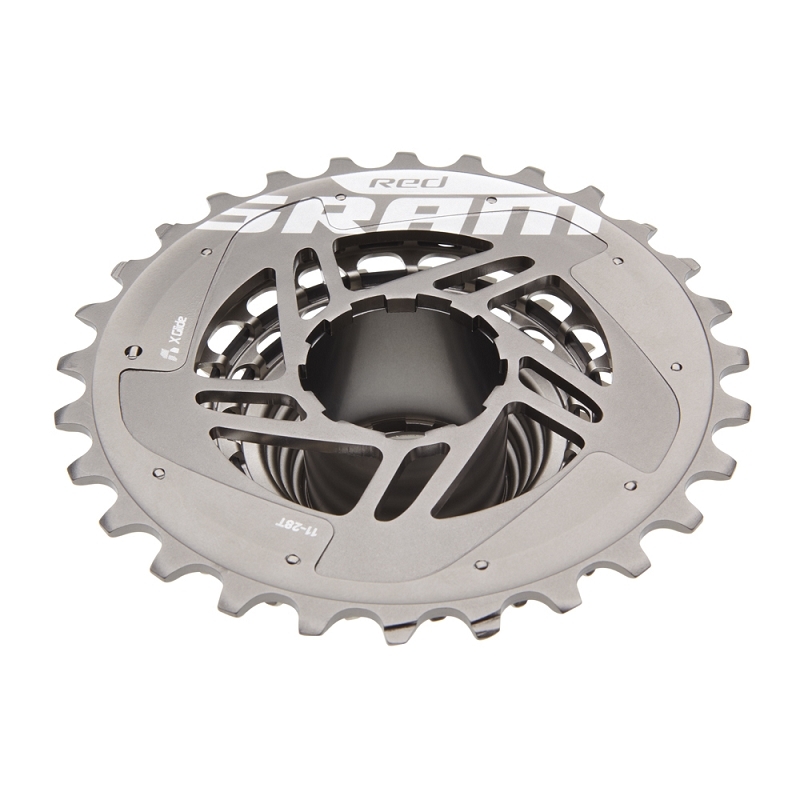 Its the final piece in the drivetrain puzzle, paired with the new SRAM RED Rear Derailleur, delivers ultra-fast, ultra-quiet shifts that will always put you in the right gear. Weighs 135 grams (11-23).